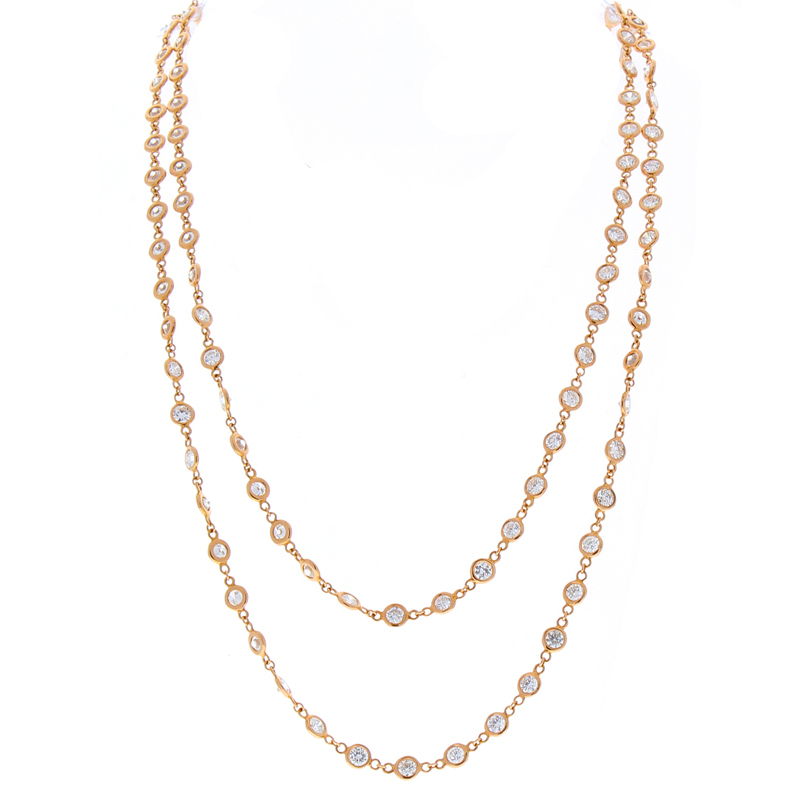 Designed in brightly polished 18K rose gold, this gorgeous two-strand necklace glitters with 106 round brilliant cut diamonds that are bezel set in even intervals on a shiny ring link chain, totaling 12.65 carats. Each diamond is hand-wire wrapped in rose gold. Elegant and sophisticated, this sparkling necklace measures a lengthy 36 inches long and can easily be paired up with a variety of collar styles.